Though Canada doesn’t have a rice-farming culture, yet, Masa Shiroki reminds people that at one time no one considered Canada suitable for wine production—and now we are winning international awards for it. So, why not experiment with rice and rice wine too? Shiroki is the first to make hand-crafted artisanal sake (rice wine) in Canada and the first to grow his own sake-grade rice to do so. 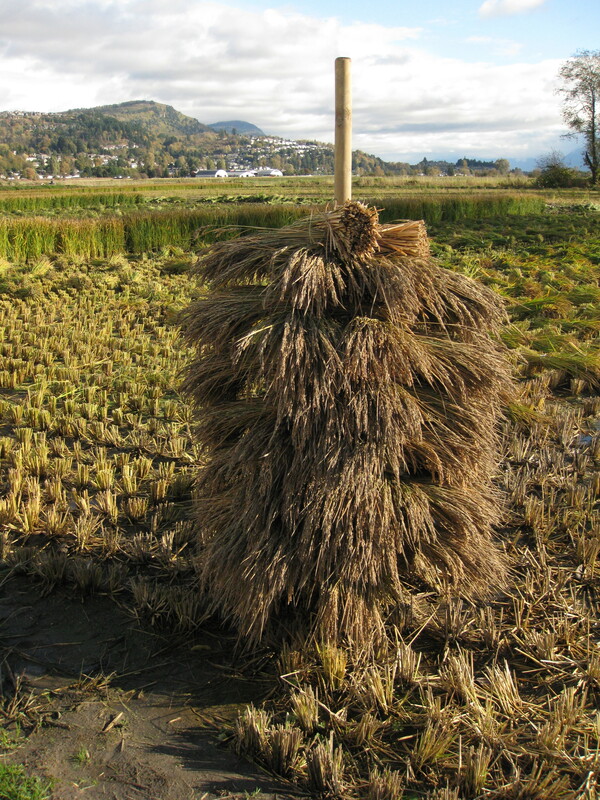 His fields in Abbotsford, British Columbia are the most northerly commercial rice production in the world. Having proven that it can be done, Shiroki is now expanding production from sake-grade rice to include table rice. Working with him is a dynamic team of farmers, permanent staff, contracted personnel and volunteers. In addition, his multi-talented wife Yukiko participates in every aspect of the business operation: store management, accounting, human resources and field labour. Shiroki is not your typical farmer. When the Ministry of Employment and Trade closed their offices in 2001, Shiroki, a white-collar guy, was out of a job. Too young to retire, he invested his severance package in his Artisan Sake Maker shop which opened in 2007 on Granville Island. There he produced hand-crafted rice wine using Japanese rice and Canadian water. From the start, his Osake brand caught a great deal of attention from food, wine and travel media and garnered awards. 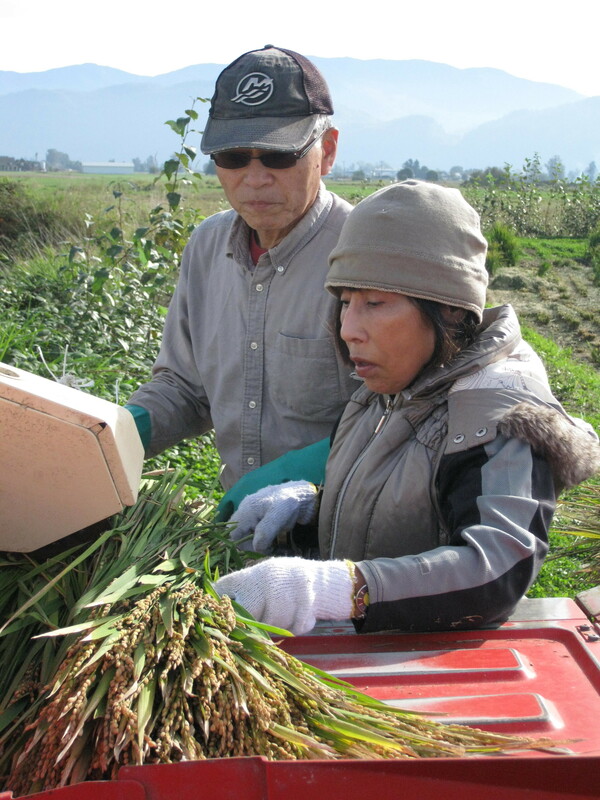 However, the tax advantages in creating a Land Based Winery with the option of farm-gate sales got Shiroki thinking about growing his own rice. Even though rice is not on the British Columbia Liquor Distribution Branch (BCLDB) list of produce that qualifies for Land Based Wine production, Shiroki began to dream of establishing a kura (sake winery) on one of the wine trails. 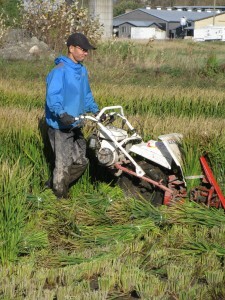 During 2009 he worked with numerous farmers around British Columbia willing to give rice cultivation a try. Out of curiosity he also planted a little table rice along with the sake-grade rice. When both succeeded, Shiroki chose to lease land and storage facilities from Bakerview Eco Dairy on Sumas Way. The first 100% Canadian Osake Fraser Valley Junmai Sake, a jizake (locally hand-crafted wine) was bottled in 2013. As much of the Fraser Valley’s farmland is situated on the floor of a reclaimed lake, some of it is considered non-arable because the land does not drain and the soil is dense clay. 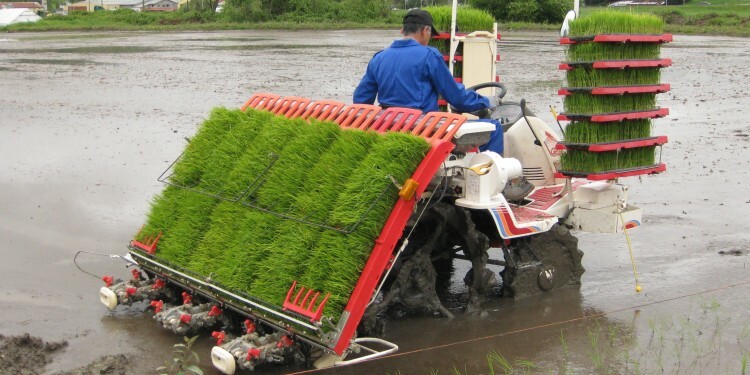 Such land, however, is ideal for the cultivation of rice. Not only that, but water is also abundant and the Abbotsford location close enough for Shiroki to commute easily between his fields and his Granville Island premises. 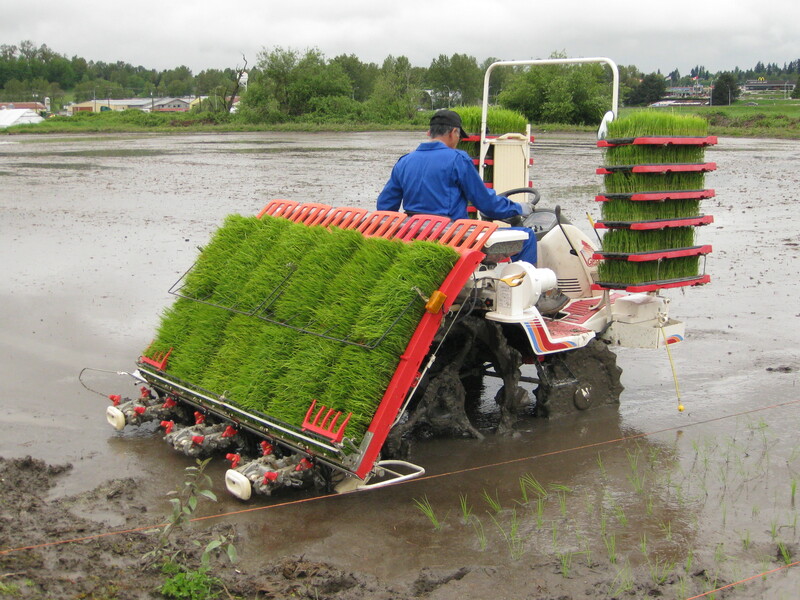 Shiroki’s first crops were planted with a two-row seeder which operates like a rototiller. 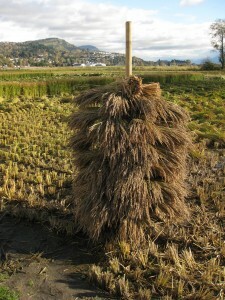 Harvesting was done with a bundler in the same manner—a step up from the old-fashioned sickle Shiroki used the first experimental year. Still, for a single man to run those through multiple acres of shin-high mud was not going to be viable over the long run. Over time, Shiroki imported more sophisticated equipment from Japan which allowed him to expand planting from two acres to four then six. Eventually Shiroki added a six-row seeder, weeding machine and harvesting combine as well as a rice dryer, sorter and milling equipment to his operation. Each acquisition made the idea of expanding into table rice cultivation more feasible. Meanwhile, Shiroki put out the word that he was looking for farmers with low-lying, fallow land interested in rice cultivation. 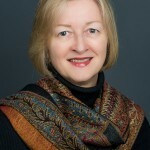 He would contribute his equipment, expertise and business acumen to the venture. Careful not to create a demand where there is a limited supply, Shiroki and Gough presently sell Northern Lite through Bakerview Eco Dairy’s Nature’s Pickin’s Market and Granville Island’s Artisan Sake Maker shop. Several local restaurants whose chefs support the locavore philosophy (Abbotsford’s Restaurant 62, Vancouver’s Farmer’ Apprentice, Forage and Burdock & Co) offer Northern Lite on their menus. 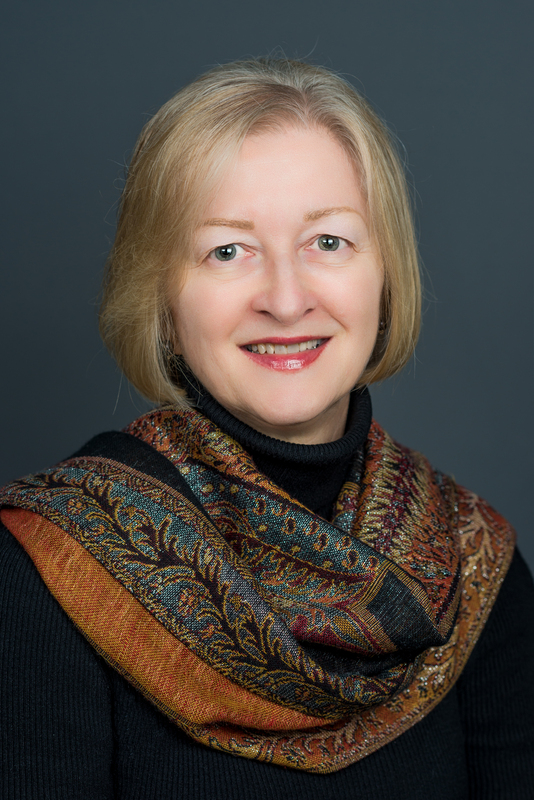 Recently Kelowna’s Pilgrim and Pearl as well as Tinhorn Creek’s Miradoro have signed on. Throughout the summer Northern Lite rice is also available at the Trout Lake, Yaletown and Main Street Station farmers’ markets in Vancouver. In addition, latest changes to liquor laws now permit wine sales at farmers’ markets where Shiroki will also promote his Osake brand wines. However, Shiroki is still lobbying and fighting cultural resistance at the BCLDB level to have sake-grade rice included on its list of produce from which Land Based Wineries can produce wine. Until that barrier is removed the option of a small estate winery is out of Shiroki’s reach, and the higher tax bracket of a commercial winery cuts deeper into his profit margins. At the moment rice farming in the Fraser Valley for wine production is a niche market that likely isn’t poised to take off in a huge way any time soon. However, the steady progress made over the past few years leads Shiroki and Gough to believe that table rice cultivation should produce viable yields, enable them to recoup their investment and be profitable. Between them they have planted 16 acres this year. They believe that table rice grown locally and naturally without pesticides could have a broader appeal—especially since Northern Lite delivers a great taste that other rice does not. Most Canadians aren’t used to thinking about rice as a product with taste. There’s a little palate education needed, too. 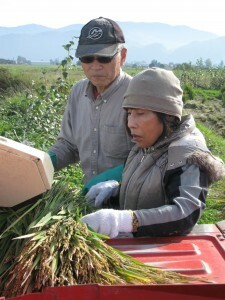 Farmers interested in rice production may contact Masa Shiroki through his website.